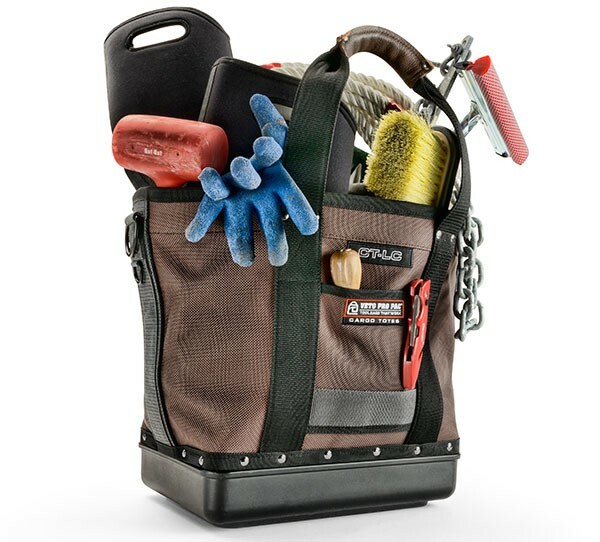 Veto Pro Pac is launching a new line of rugged totes that feature the same high build quality that we have come to expect from the company. 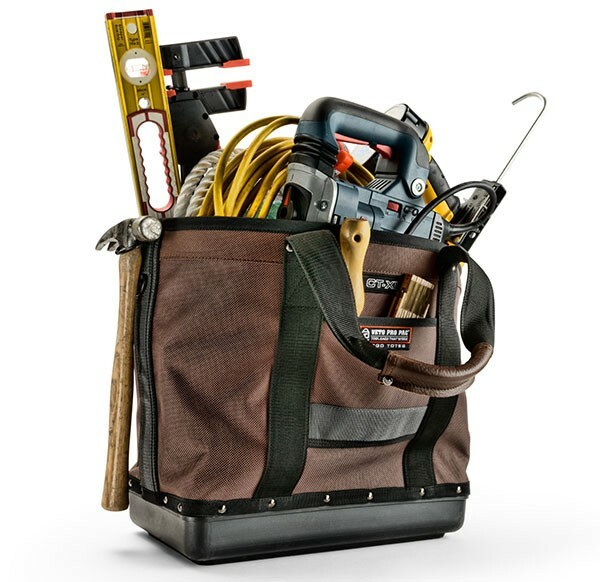 Like their Contractors Series of tool bags, the Cargo Totes are made with Veto's signature 3mm thick polypropylene water proof base, and 1800 denier fabric for the body. Continuing up to the handles, Veto chose to go with leather grips, which are both durable and comfortable. The Veto Cargo Totes are really pretty basic with a large main compartment that is big enough to hold hand tools, cords, and power tools. 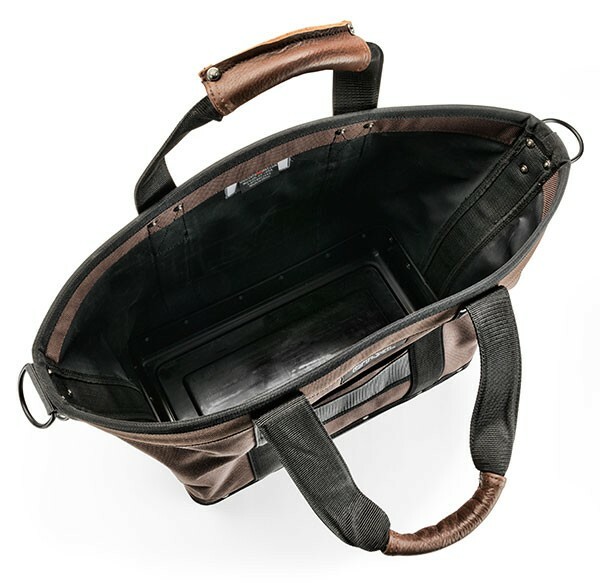 The outside features 5 tiered pockets that are just the right size for pencils, pliers or other small hand tools. I like to be as organized as the next guy, ideally having a separate space for each tool, but sometimes you just need a bag that you can throw your tools into and go—the Cargo Tote is designed to be that bag. The Cargo Totes come in two sizes. 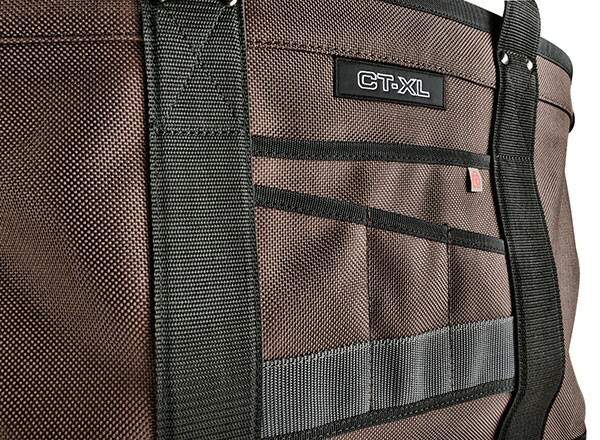 The CT-XL is 16.5" high, 17" long, 9.5" wide and features 5 tiered pockets. The CT-LC is 14.5" high, 13.5" long, 9.5" wide and features 5 tiered pockets. Both bags will be available later this month, priced $99.95 and $84.95 respectively.